You are here: Home / Financial Freedom / Who Are the Billionaires in Singapore? 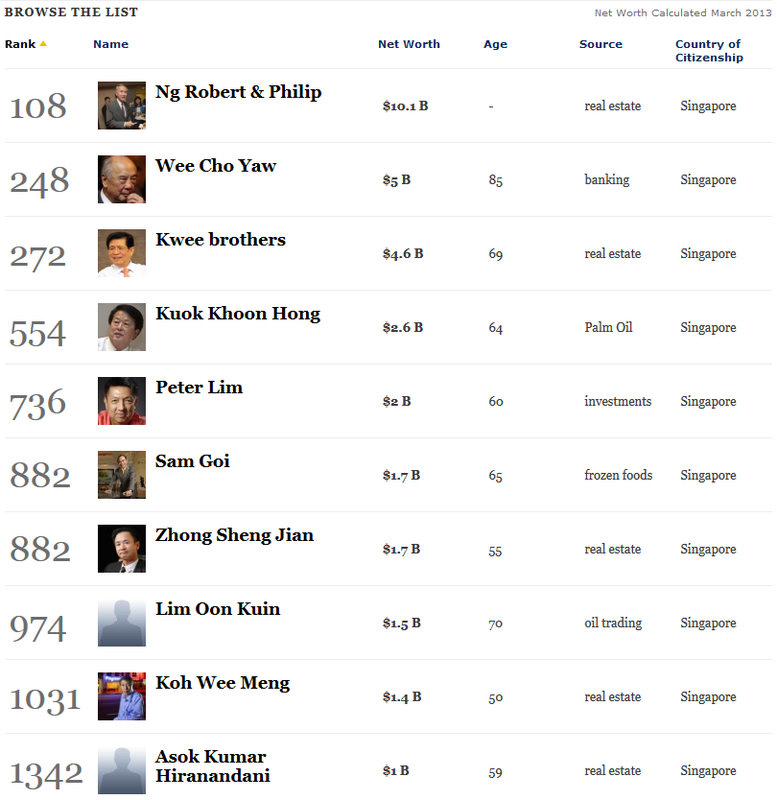 Who Are the Billionaires in Singapore? According to Wealth-X and UBS Billionaire Consensus 2013, Singapore has 27 billionaires, it is the fifth biggest billionaire population in Asia and 18th in the world. The typical Singapore billionaire is said to be mainly from the “finance, banking and investments sector” and has at least a degree and is above 60 years old. The study also shows that as of 2013, the total number of billionaires in the world has reached a record of 2,170, with Asia being the fastest growing region. 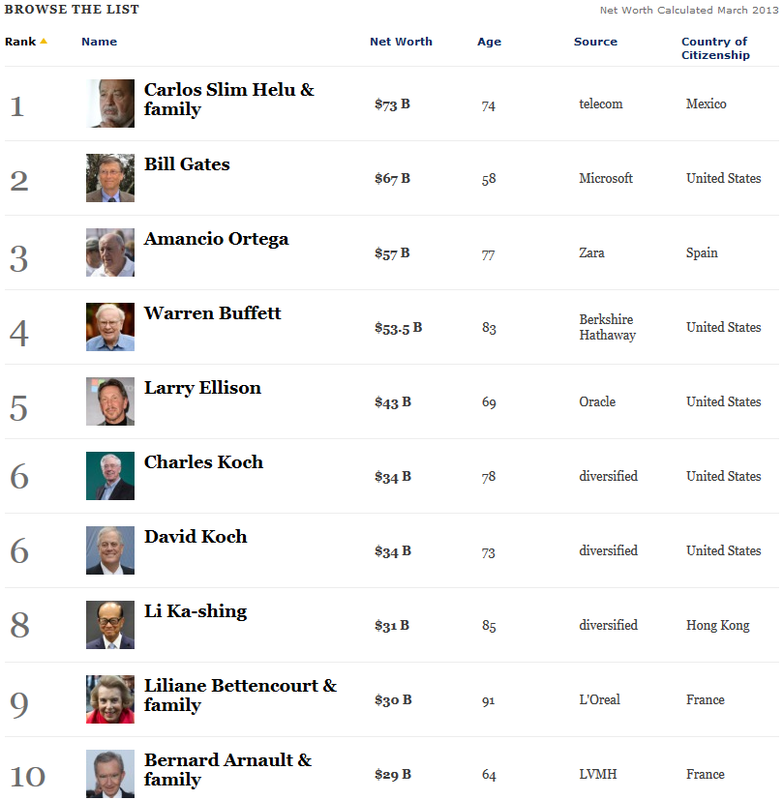 Interestingly, if you look at the Forbes List of Billionaires, you will notice most of the billionaires from other countries own some real business, be it telecom, software, supermarket, etc. Of course, you still have your stock genius Warren Buffett and some hedge fund managers. But in Singapore, most billionaires are from the Real Estate industry. Singapore’s fortune may have unfortunate consequences, the success of Singaporean billionaires gives people the false impression that property is the only way to go. The nation’s wealth is used to finance the ever-ballooning property loans instead of building the economy. There is nothing wrong if you try to mimic the success path of these rich, but you have to understand that the rich always guard their secrets tight, they amass their fortune not simply by flipping a property, they take property investment as a business. While you may think the property prices will always go up, the property tycoon Li Ka-Shing is offloading his properties worldwide now. Why?